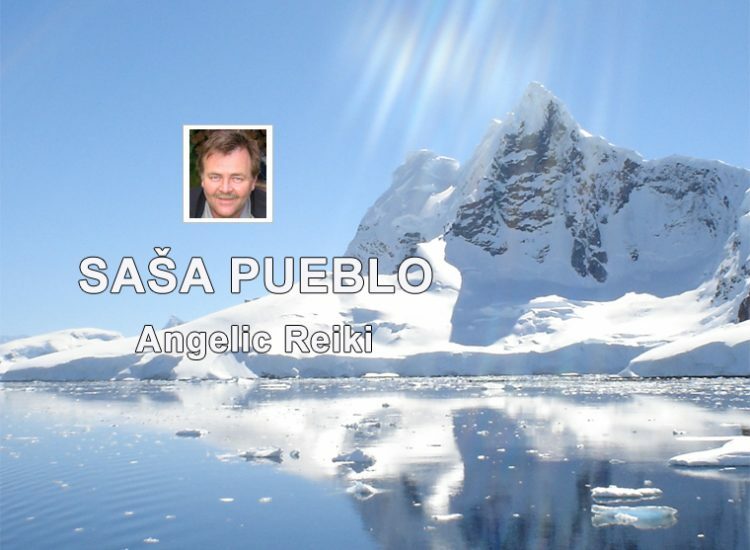 We continue in reiki system and mainly for the purpose of activation embryonic structures in the human body. They are neurons and neural structures, which arised during 1st, 2nd, 3rd, 4th, 5th, 6th, 7th, 8th and 9th month in embryo life inside pregnant mother. 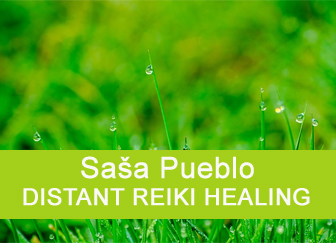 Nowadays Reiki has tend to omit this area and firstly penetrates into neurons and neural structures that are built in the 5th, 10th, 15th and 20th year of life. Our ambition is to restore the potential of penetration into embryonic nerves and neurons which are only blocked and non-functional. The aim of Mikao Usui reiki is to restore the potential of its founder (Mikao Usui) of Reiki from Japan. Each chakra must be opened gradually and at different levels. At the level of nerves and neuronal structures from the year 20, 15, 10 and 5 and then even deeper on the level of neuronal structures from the development during the pregnancy in months 9, 8, 7, 6, 5, 4, 3, 2 and 1 of the embryonic development of the child. Not only open them, but we also have to keep them purified and in the active state therefore the nervous – neuronal system from the age 20, 15, 10 and 5 is appropriate to block and neural structures from the months 9, 8, 7, 6, 5, 4, 3, 2 and 1 of embryonic development is appropriate to activate. Why should we proceed so? Oracular research of persons who lived very long revealed that they have active cells from embryonic period. Reiki, which we want to practice strives to activate embryonic stem cells, which could also stay in the body in later life of an adult. We still talk about neural structures which survive in the human body into the adulthood. And it’s up to you whether you have them open and active and they help you to active longevity. 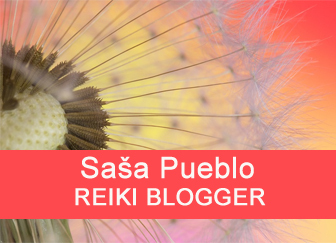 If you would be treated by Mikao Usui reiki, then it is interesting to clean chakras on the level of embryonic structures from the 1st to 9th month of the child life during the pregnancy. It is reasonable that energy should flow into these purified chakras from the thymus as in the vital and healthy children who have large thymus during the childhood. If you would perceive equality with snowflakes, so then they can help you in fact that energy will flow from the thymus in the adulthood. Iceberg, snow and ice – this is everything that helps you to mobilize your childhood memories and your thymus in the sternum or what remained of it even in the adulthood. You devote the thymus and something you read up about it. Take magmatic records of your thymus. Tell yourself that you will not exalt beyond the iceberg and you stay straight with it in your mind like brother and sister. Link your goodness and the crush into glaciers around the world. And your chakras and embryonic neurons in these chakras will be full of flowing energy. Embryonic structures would start linking their bioenergy and that’s the healing process which we need to realise. And we have the unique source of energy that is able to flow from your thymus and penetrate into chakras, where we have revived embryonic structures that return youth. Get to know what is thymus gland. Discover what thymus brought you during childhood and what it can give you in the elderly age. Which bio-energy heart chakra contains and how renew this bio-energy flows through chakra points on the skin. It is a special diagnosis of persons who live involuntarily into their inner world. They were born so. Autistic people are rarely willing to change their practices. They need continuously repeat their procedures and constantly pay attention to one thing, which they have choosen. If you don´t allow them to do so, they become aggressive and could attack humans even physically. 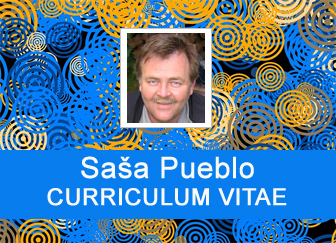 Esotericist is somewhat autistic, but he is cured of autism. Of course, he has easier forms of autism. Autistic person who is cured from autism trains autism states which leads him to the inside concentration. He permanently penetrates into his physical body, into cells and their structures and the objective is to get further into elements and even furthermore. Preference is given to the concentration into own inside and then out. Building of special abilities by conscious training, early stages of the clinical death.Building what may be after the death of the esotericist and seeking longevity and penetrating into all what is from periods of the embryonic development. This state holds good aura around the person. If you would be concentrated only into the outside world not into your inside world, you hardly keep the bioenergy around your body. Autistic person concentrates inside himself on everything related with the embryonic development and thymus in the middle of the chest. In the older age thymus decreases to the size of the little finger. If is the thymus large then its energy flow into chakra points in the body and to a depth not only in neurons from 20, 15, 10 and 5 years of age, but also to a depth of neurons from 9 – up to 1 month of embryonic development. Embryonic structures are on this level activated and cleaned by special energy. How to develop inside of yourself the ability of the echolocation. Your vocal cords do not only talk, but they can pulsate and produce vibrations that spread in your body, but also outside your body. This is also a communications channel and not only that, it’s a way of returning to the nature. Stop to think that we are as humans something more than the nature and animals and the reward will be the flow of energy between our embryonic cells and cells of animals, trees, eggs and animal offspring. If you want to immerse inside own body, own organs and cells, then you would need also the vibration of your vocal cords. And what is the best to communicate with embryonic cells in your body? Exactly as the killer whale, dolphin or whale does. Echolocation is an excellent matter how to improve communication with own cells and the mind. Echolocation of sounds and vibrations is return to communication with the nature and finally be healthy. Neurons and the way of thinking and future successful life are formed inside the child according to the size of the thymus. If the child has small thymus then such person will be destructive in the adulthood, will not be positive to yourself and his surroundings and will have pleasure from that. When thymus gland in the child is the middle size then wishes and desires of such person often go to the level to satisfy his ideas at the expense of that will not have success in the life. I want the world would go according to me often does not lead to the success. Thinking of children who have large thymus is tuned to the success which is also the benefit for others. And what we mean here by angelic spheres? First of all, this is a children’s autism and the most difficult cases who during the life continually rub in their hands eathers, reeds, stones and enjoy this activity together with other people who surround them. It is important to know remotely psychically join with such autistic children. You should try to accept them as your friends and let them influence the world of your childlike and embryonic structures. Such children after the death creates unique commemorative objects in the world of the dead and can affect your health and thinking. How to care of your health as keep yourself health? Keep in high esteem people who have a lot of thymus pieces in their body even in the adult age. And when the energy flows through your chakras into embryonic structures, so let there appears a world of angels from autistic world. The base for whole Mikao Usui reiki system. 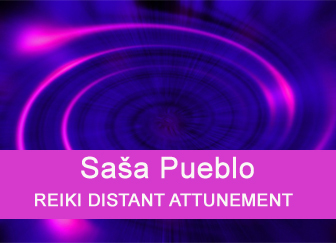 Many of today’s Reiki systems have no potential to activate neurons from embryonic period. It can penetrates only in neurons from the age 20, 15, 10 and 5 years, which remain inside adults. And this is not enough. And also generating energy disc is not the best to keep activities of embryonic structures. These structures are active in long-lived people who usually live more then 100 years. We started to investigate reiki and we looked where its healing effects which are described in Japanese sources were lost. Why reiki has not so great effect as in the period when Japanese Mikao Usui lived? 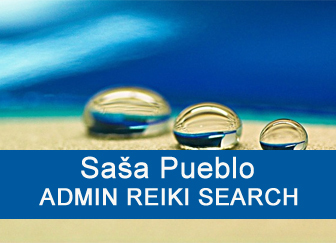 We found a lot of unpleasant facts, and at the same time we decided to return to that unique healing reiki power through the activation of embryonic structures in the human body. We have combined the knowledge of neurology and the healing. And we are on the topic of aura around the human body. The basis of the bioenergy of the human body are cells and inside them so small organelles – mitochondria. They are also small power plants, where bioenergy is formed from biochemical substances with the help of bio-metal elements. To measure auras exists diagnostic instruments. Bioenergy is accumulated in the body and ends on the surface of the body and here the bioenergy is kept and then gradually is lost to the surroundings. This bioenergy contains the energy of the magmatic core of the planet Earth and the energy of the cosmos. If embryonic structures are opened in the body and in each organ through Mikao Usui reiki then the bioenergy in the human body and in aura would be changed. If a person has a connection with nature, doesn´t separete yourself from the nature then it is possible to change the energy with animals and trees even on longer distances. And this potential opens reiki treatment system, the consecration and the meditation. Glass is the material, which gives freedom to the imagination and returns the human psyche and his embryonic structures into the child psyche. Glass can be used for production of pots that can be used for the treatment and the meditation. For example, hang lead weights into the bottle on a string. Then put your hands around the bottle and by the energy from your hands swing these weights and so practice reiki energy to own treatment of embryonic structures. As children we enjoyed playing with different lenses and their colorful reflexes. Crystal is something that cleans the human mind. It’s like going back to a naive child psyche, which is so well connected with nature and its magical powers. Mineral and its lighting effects allow creates in the imagination natural creatures and unique reiki characters reiki in different colors. Unique phenomenon that arises from sunlight and its convertion behind arctic circles to the unique iridescence and energy. Try not to seek again what separates us from the aurora borealis, but what unites us with it? Try to bring the power of the aurora borealis into your embryonic neurons. Play around in your head with imaginations of reiki colors and change them.